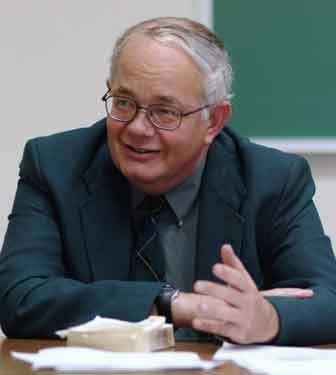 Placher's Book "A Powerful Inspiration"
The much-anticipated final written work of Wabash College’s beloved professor and most acclaimed theologian Bill Placher ’70 has been published by Westminster John Knox Press. Listen to an interview about the book and series here. The College was still reeling from Bill Placher’s death in late 2008 when Professor Williams, his colleague, former teacher, and the man entrusted with his literary legacy found on Placher’s computer the nearly completed draft of his commentary on Mark. At his friend’s memorial service weeks earlier, Williams had noted, “It is the season of eulogy—the good word. But our best word has been silenced." With the discovery of the manuscript, suddenly there was hope that even after such a loss, readers would have the chance to hear from Bill Placher again. While the work was an early draft, Williams notes that “Bill’s first drafts were always better than most of our finished works, so there was very little left before publication except standard copyediting. 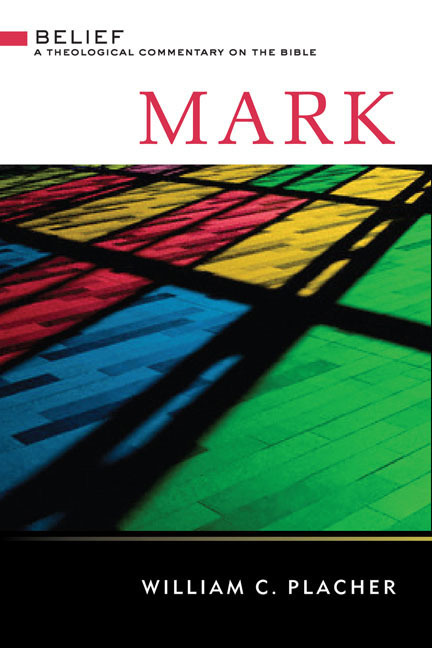 Co-editor Amy Platinga Pauw comments in an interview with the publisher that “Mark was a [gospel] that Bill had a special passion for, and that really shows. His commentary makes you want to go back and read Mark all over again. Pauw says the book is written in Placher’s trademark clear, concise, and conversational style. While the draft Williams discovered was nearly complete, it was missing the personal epilogue that Placher intended to write when the book was finished. “Bill was already thinking about his next book, which was to be a history of Christian theology in the twentieth century,” Professor Williams says. “It was taking shape in his head, but unfortunately it wasn’t yet on paper. The loss of his future work adds to our enormous sense of loss.